I love using live plants for events, especially in winter months. Up here in New England, the weather and stark skyline can make winter seem endless. Using living foliage for decor lets people break up that white and gray monotony by bringing home a little green into their home. Plus, it adds a great nondenominational element of cheer to your holiday decorations if you stick to a classic green and white palette. 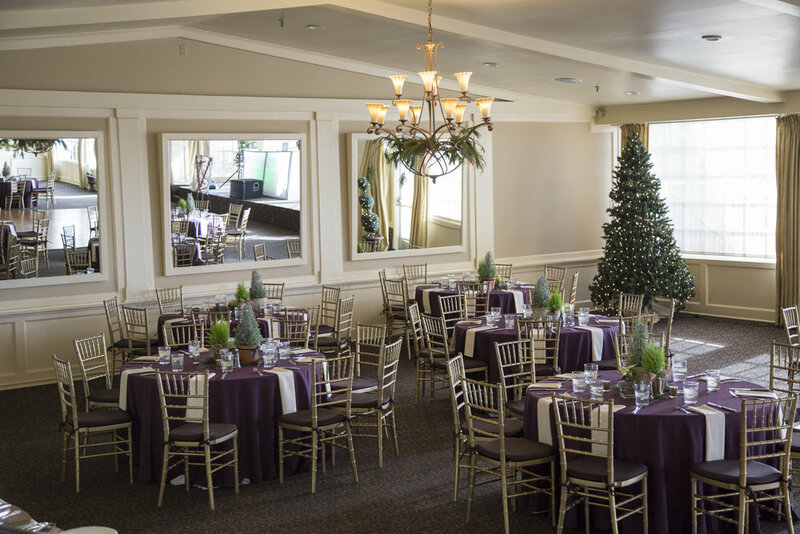 Here are some photos from a holiday party I did for a company based out of Norwalk, CT at the Inn at Longshore. Oh, and don't forget the donut station!